The Regal Oxford | Inkdependence! 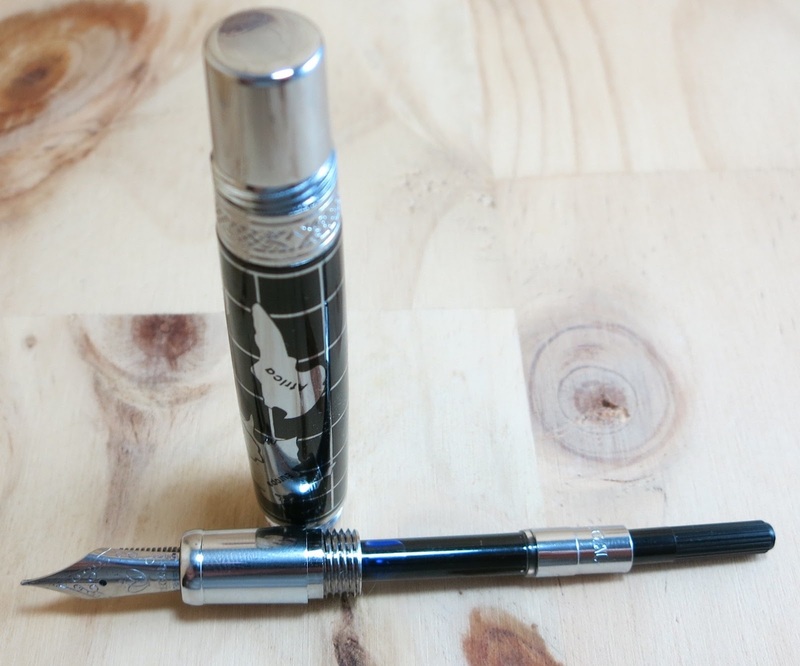 This is the second of the Regal pens that Massdrop sent out for me to review. The Oxford, named for the university, is a big, heavy pen. It's one that will make an impact on those who see it. If you're looking for understated, then you're in the wrong place. 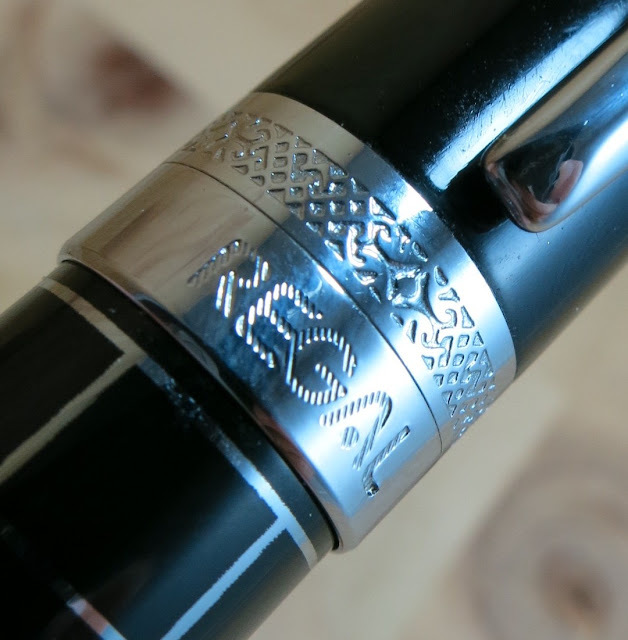 If you want classy black lacquer and chrome, then you're in the right place. According to the Regal website, the body material is listed as copper. That seems like an odd choice to me. Brass would have been less expensive and about as heavy if that's what they were looking for. Anyway, this material makes the pen quite heavy. It's 65g, and that's a lot of pen. The only pen I have heavier than this, and it's a lot heavier, is the Fountain K from Karas Kustoms. That one is a solid piece of brass, and it weighs 95g. Whoa. 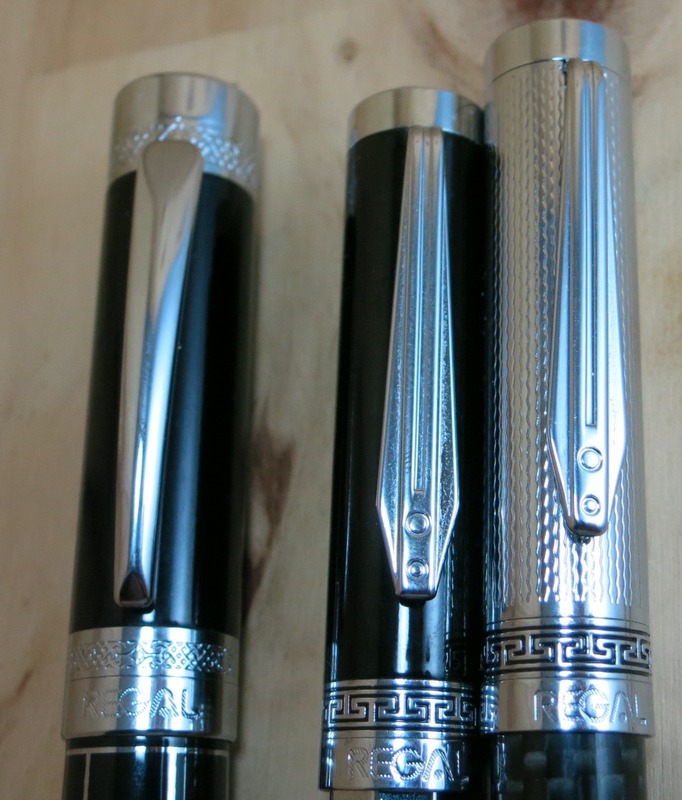 Length: 145mm (capped), 127mm (uncapped), 174mm (posted). The cap is pretty fancy. The gold seal in the middle of the top is a nice attention-grabber. It makes the cap look a bit like a gilded shot shell, to me. Unless you look closely, the laurels and writing around the edge make for a design that looks all of a piece on the shiny cap. The clip has a big arch to it, and it's pretty stiff. It's not too stiff to be functional, though, and it can go over a shirt pocket without trouble. Jeans are doable, but not the sort of outfit that the Oxford would really go with. 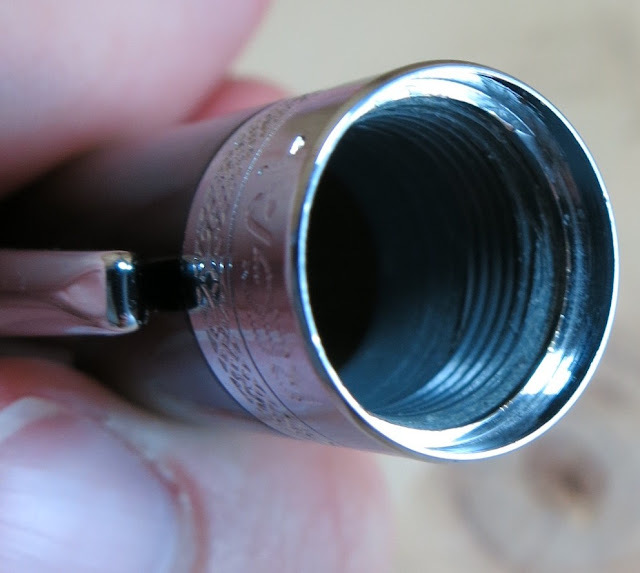 The screw threads inside are plastic, which would protect the end of the pen if you were going to post it, but posting makes this pen too long and heavy to use effectively, I'd think. I do wish that there were more threads in there, though. I don't fee like this cap screws on nearly as tightly as I'd like. It doesn't dry out, but it doesn't take much effort to unscrew the cap. That makes this more of a desk-pen than a carry-around-in-your-pocket sort of pen. 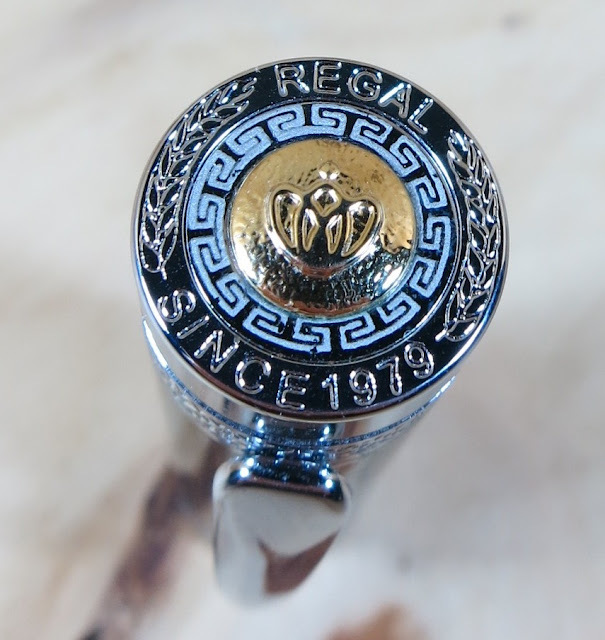 This is the Regal logo and a close-up of the pattern on the cap's band. Above and Below you'll see the world map on the barrel of this pen. This is my other quibble. I don't love the map's design. The way that North and South America are drawn is wonky, and it bugs me. Couldn't we have just had a regular map that was kinda accurate? The bottom of the pen feels like one hunk of metal. It's shiny and it looks good. Those threads allow the cap to be screwed on the back to post it, but I don't recommend it. 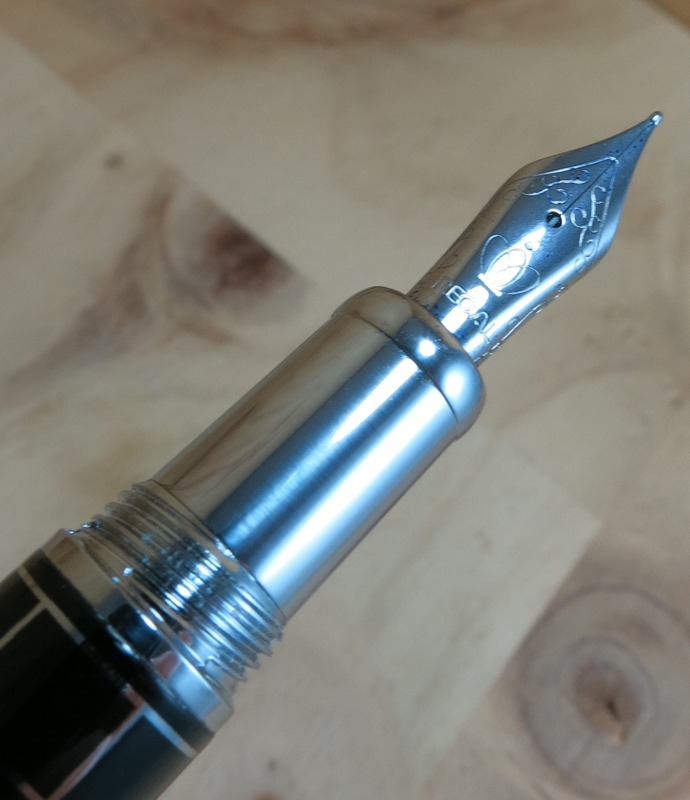 It's a pretty understated nib, all things considered. Some simple scroll work, a crown, and the brand name. 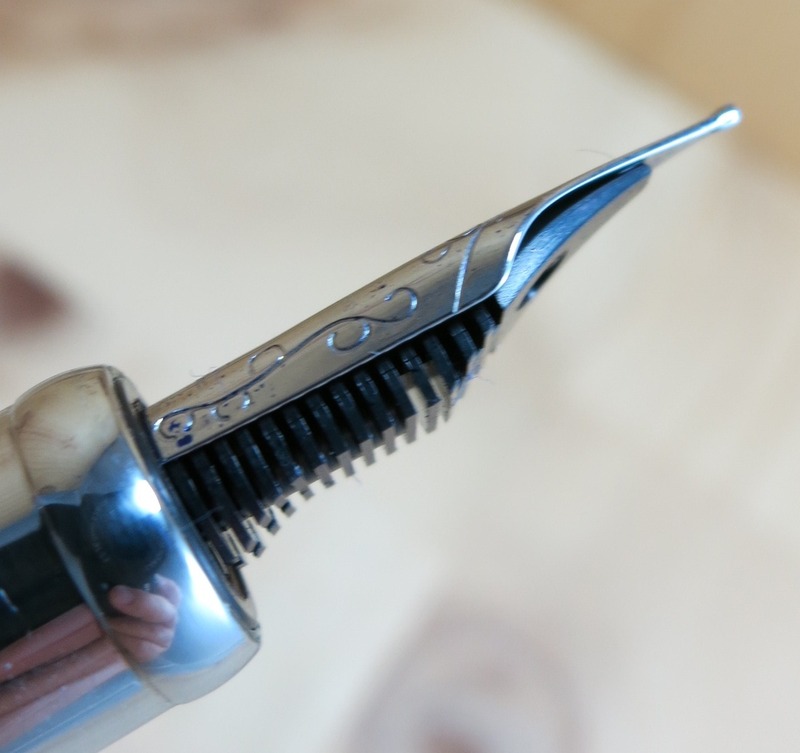 It's fine, but if you're going fancy on the pen then it might be a good idea to go fancy on the nib. Two-tone, maybe? The section is smooth metal. It's a little bit slippery, and it could have used a saddle, I think. It's perfectly serviceable for short writing sessions. You might not want to write a novel, though. 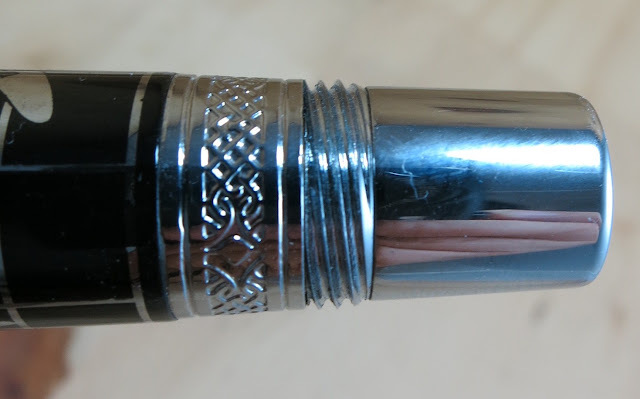 It's a standard sort of #6 nib. Pretty good sized, but not outsized on this pen. Standard cartridge/converter filling mechanism. The converter is a little wonky (kinda bent off to one side) when you put it on the pen, but it doesn't seem to affect the performance any, and it doesn't fall off. 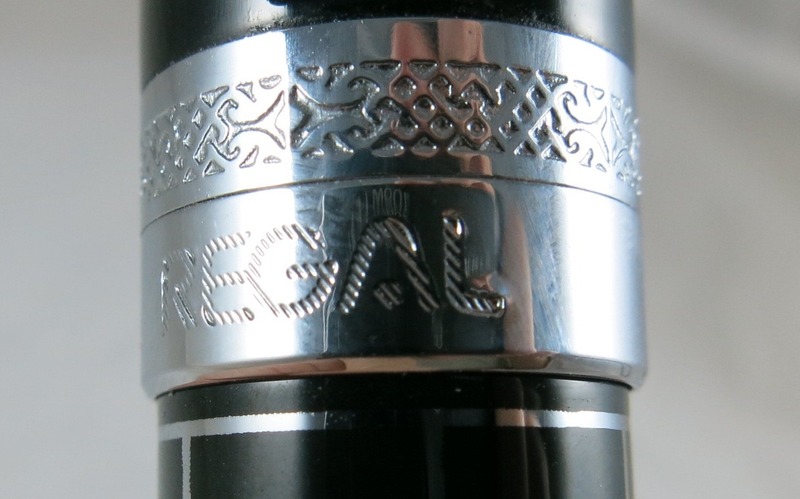 These three are the higher end of the Regal line. Left to right: Oxford, Elizabeth and Lewis. I like the Elizabeth best, I think. 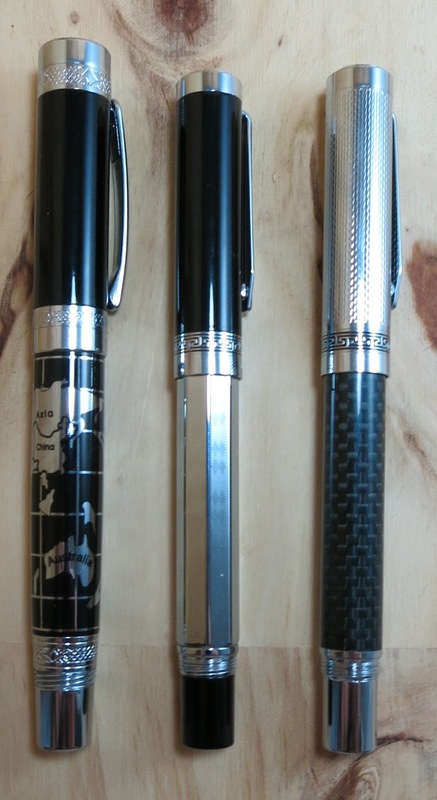 Some of the other pens around that size. This pen's MSRP is pretty high. 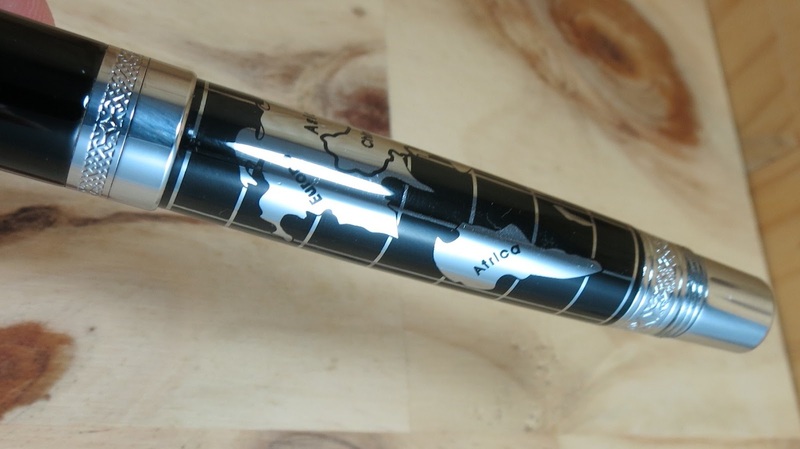 I don't think I'd buy it at $150, but if you can find it cheaper it would be a good pen to give someone for a graduation or a new job or some such. Kind of a "Things Remembered" sort of pen, I think. For a limited time, you can find it on Massdrop at a much more reasonable price. That link is an affiliate link, but I don't profit from these things. They'd just like to know where the link came from.